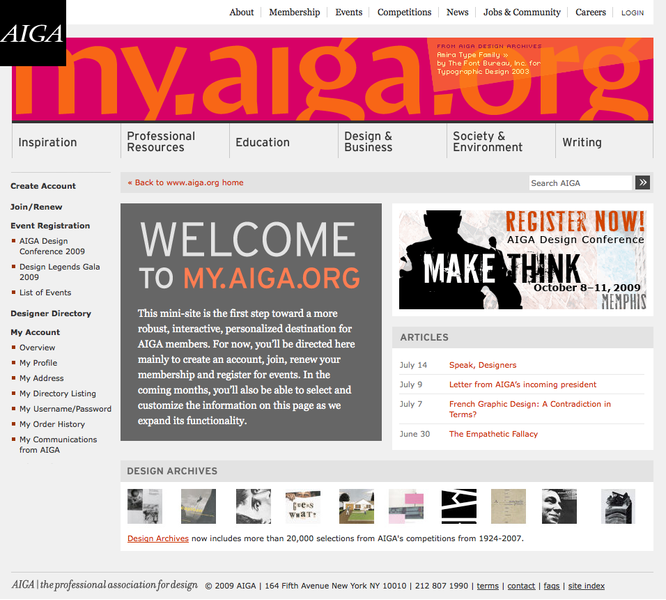 my.aiga.org is a personal mini-site for members of AIGA, the professional association for design. 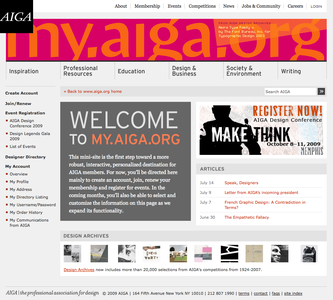 The portal is designed visually and functionally to be a seamless part of the parent site, aiga.org, and consolidates the information and preferences of registered users in one location.As a celebration of the award-winning graphic design work in AIGA's archives, the header of my.aiga.org also showcases various typefaces that have garnered AIGA recognition in the past. 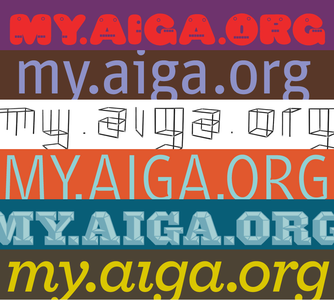 These are featured in bold, playful and informative banners cycling through the various sections of the mini-site. 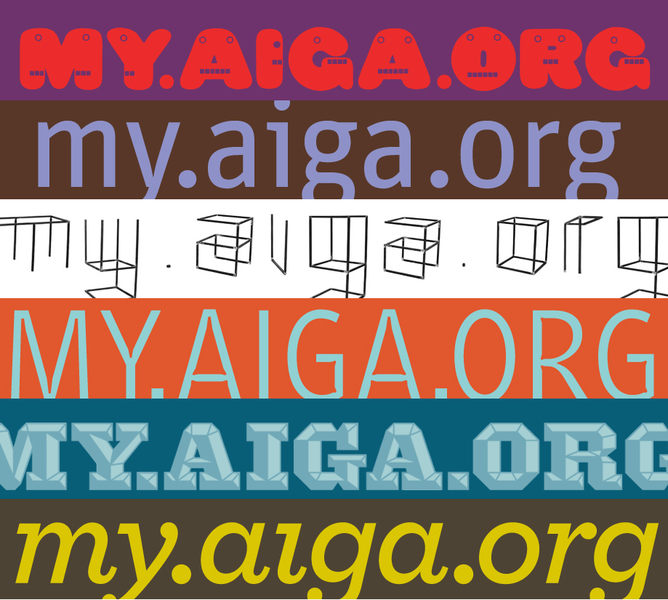 By doing this, my.aiga.org is clearly marked as a separate and secure transactional environment, while still remaining visually connected to the main site.